Grand Park Hotel Rovinj is the biggest hotel investment in Croatia in the last few years, worth over 600 million kuna’s (over $90million). Before we take a break for the upcoming holidays, here is a look at some of this years’ most important highlights: projects, activities and happenings. Bužanova Apartments is a new residential block that was finished in July. We teamed up with the client VMD and designed it to offer a higher standard of living. Based on the principles of green construction and high ecological awareness, the block is situated in a quiet street full of greenery, but within reach of the city bustle. Each of the entrance spaces is painted with a unique mural done by a selected young Croatian artist, further enhancing the living experience. LN Garden Hotel in China was officially opened in August. Located in southern China’s Guangdong province, on the Pearl River estuary in Guangzhou, the LN Garden is part of the Nansha Seaside Park. 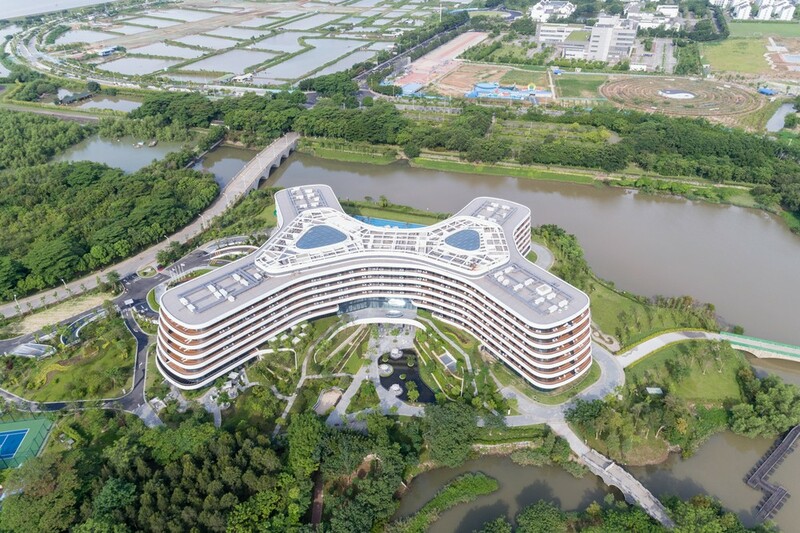 It is categorized as a five-star platinum hotel which, according to Chinese standardization rules, represents a significantly higher standard than a 5* hotel. The transition between outdoor areas and interior spaces is softened by the use of exterior vegetation throughout the hotel. Two art installations made by Ivana Franke are featured in the main lobby, and the emphasis in the interior is placed on natural materials. During 2017 and 2018 a Heritage Impact Assessment (HIA) for the project of the new hotel Belvedere in Dubrovnik was conducted and submitted to the World Heritage Centre. The Assessment has recently received a review from UNESCO with conclusion that 3LHD’s project has a positive effect on World Heritage Property of “Old City of Dubrovnik” and significantly contributes to the improvement of the existing site. Belvedere is situated in an exquisite location distinguished by Mediterranean landscape, a steep terrain and urban matrix of the area of Ploče. The soft, terraced structure of the hotel carefully adapts to the topography and landscape. Green roofs contribute to the full integration into the surrounding nature. 3LHD are proud of the awards their projects won this year: Hotel Adriatic and ResoLution Signature Restaurant were awarded on the BIG SEE Interior awards; One Suite Hotel was a winner on the International Hospitality Awards; Karlovac Freshwater Aquarium won the Grand Prix on the Balkan Architecture Biennial. Grand Park Hotel Rovinj is a starting point from the city centre towards the Monte Mulini tourist zone and a pinnacle of revitalization and raising of Rovinj’s tourist standards. 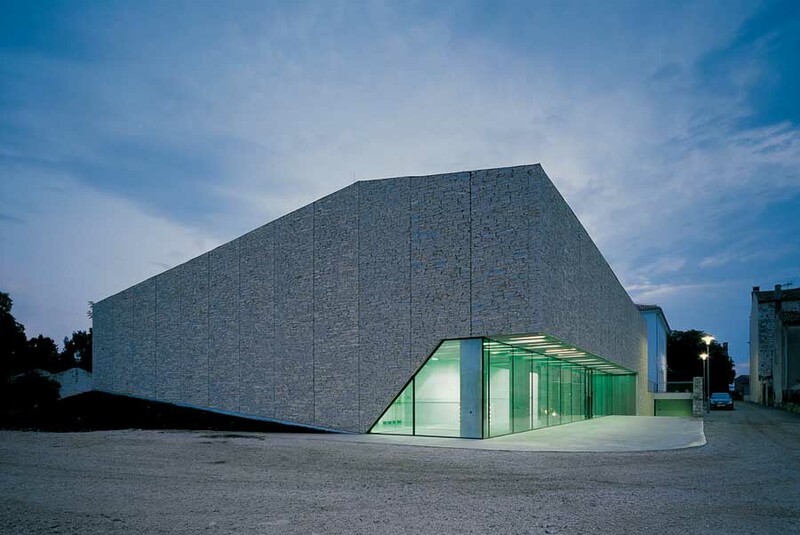 With its placement and appearance it changes the perception of the surrounding landscape. 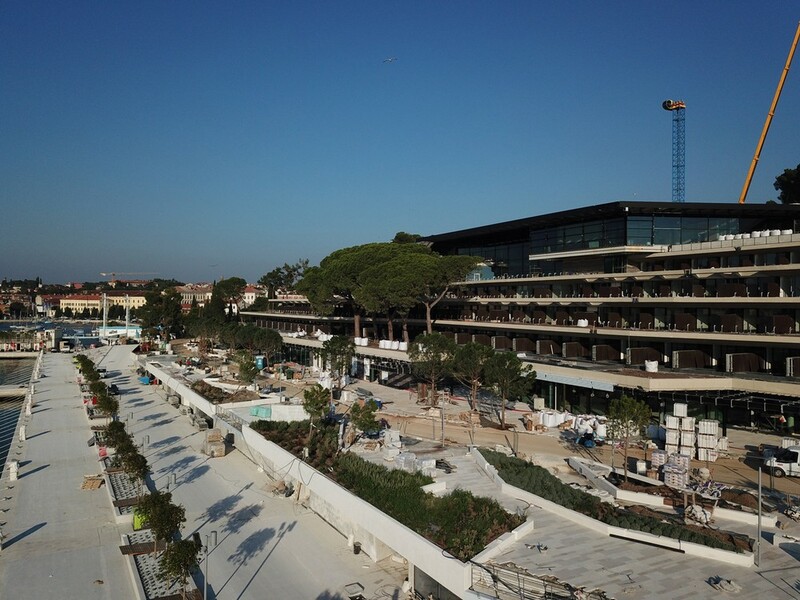 In order to secure a suitable view from Rovinj the hotel’s volume was incorporated in the existing Zlatni Rt forest park. The opening is planned for the beginning of next tourist season. We are collaborating on the project with Lissoni Associati who are working on the interior design. The Sports and Recreation Centre Đurđevac is located next to the Old Town of Đurđevac and park forest Borik. The concept design of the centre included a wide range of sports and recreational facilities. The first phase of construction works with the football stadium building has been completed this fall. Along with the cascade form of the building, the main design element is the exposed concrete in yellow colour inspired by a nearby geographic-botanical reserve “Đurđevečki peski”. The schematic design phase of Kupari Resort has been started. Separate projects have been formed within the zone, and are being designed in accordance with the Master plan. The sites’ natural quality served as inspiration for transforming the existing 16ha complex into a unique tourist destination. Kupari will be operated by the internationally renowned hospitality company Four Seasons Hotels and Resorts, which has redefined luxury for the modern traveller over the last 50 years. Two new collections of products we designed were presented at the Orgatec fair in Cologne: a collection of outdoor furniture Umomoku and a modular shelving system designed in cooperation with Grupa called Shtef Shelf. Umomoku is an unobtrusive and simply designed line of comfortable outdoor furniture intended for lounging. Design of the Shtef Shelf system is entirely fused with function and construction, details and joints are almost invisible while aluminium was used to make the system light. Both collections are manufactured and distributed by Prostoria. Apart from the Umomoku and Shtef Shelf collections, part of the 3LHD products are both Root and Boroot lamps. The construction works on ACI Marina have been completed. 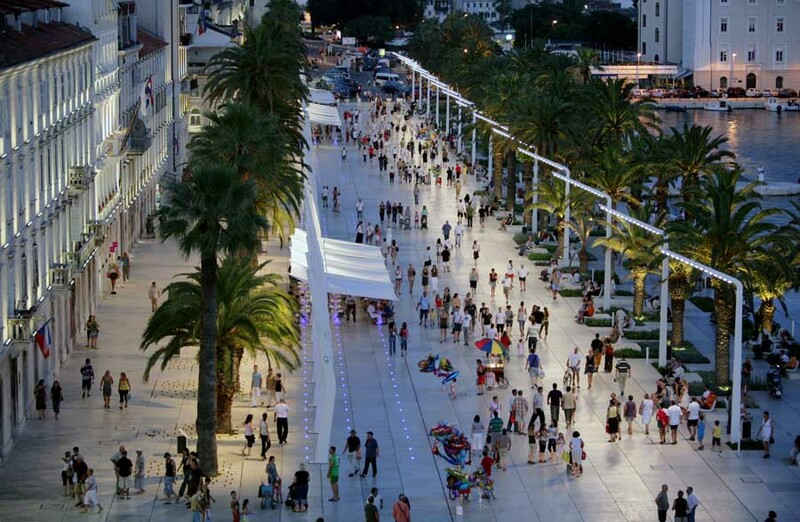 The location is characterized by a public park, the Rovinj waters overlooking the town and a rich tourist and recreational facilities of the site. We were in charge of the land part of the marina – the design and construction of the new service building for boaters and the redesign of traffic and landscape surfaces. The building is designed as a unique volume inserted into the promenade, visible only with a façade oriented to the coast. An exception is a restaurant / café-lounge bar on the roof acting as an extension of the promenade contents. We participated in professional and academic conferences and panels in Croatia and abroad in 2018, presenting our work to professionals and the general public. Marko Dabrović was one of the keynote speakers at the Graphisoft Key Client Conference in Budapest; Saša Begović was a panelist at the Exhibiting Yugoslavia panel at Cornell University and a member of the Jury at the International Velux Award; Tanja G. Begović presented 3LHD on the BIG SEE platform in Ljubljana. Saša Begović will continue his academic career on Cornell University in the United States as an associate professor, Gensler Visiting Critic. This was another successful year, both on an international and domestic level, and here is the great team that made that happen: Saša Begović, Marko Dabrović, Tatjana Grozdanić Begović, Silvije Novak, Paula Kukuljica, Romana Ilić, Mia Andrašević, Josipa Baričević, Ana Bjelić, Koraljka Brebrić Kleončić, Luka Cindrić, Andrej Filipović, Olja Gešvind, Vibor Granić, Maja Grozdanić, Mario Harni, Denis Hrvatin, Ida Ister, Sanja Jasika Lovrić, Vesna Jelušić, Uršula Juvan, Duje Katić, Dora Kljenak, Mia Kozina, Nives Krsnik Rister, Nevena Kuzmanić, Leon Lazaneo, Koraljka Mandarić, Daša Manojlović, Kristina Marković, Irena Mažer Hranuelli, Ana Mikelić, Maja Milojević, Goran Mraović, Danilo Mrdak, Nikolina Muža, Zorislav Petrić, Marijana Pivac, Monika Prinčić, Ankica Puljić, Tomislav Soldo, Krunoslav Szörsen, Ivana Šajn, Renata Šember, Dragana Šimić, Vesna Šoić, Zoran Šuša, Branimir Turčić, Ines Vlahović Mazinjanin, Zrinka Vrkić, Mladena Žarković, Jure Živković with Matej Kniewald and Magdalena Mamić. A few years after the opening of Hotel Lone, Restaurant L – one of three restaurants in the hotel, was rebranded as ResoLution Signature Restaurant. 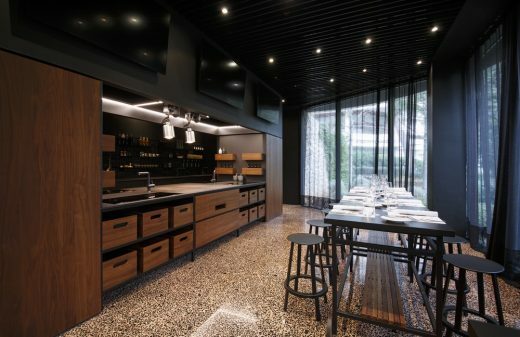 3LHD was involved in the transformation of a part of the restaurant space into a show cooking kitchen that will be used for presenting new techniques to chefs, for cooking schools, teambuilding activities etc. The One Suite Hotel is situated in Srebreno, half way between Dubrovnik and the Čilipi airport. It is a meeting place for the local residents and a new focal point of Župa Dubrovačka, representing an added value in a lively business and commercial zone of the town, available to everybody, not just hotel guests. The building volume is partially dug into the ground and covered with earthen embankments from its outer edges. 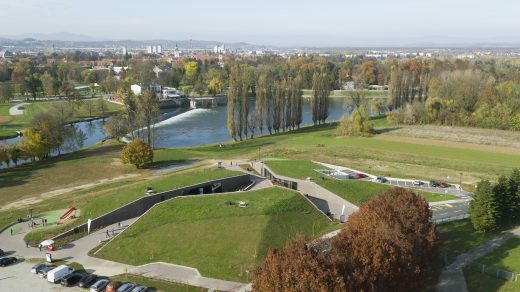 The design concept was inspired by the city’s historic center “Karlovac star” surrounded by “Šanci” – defensive earthen walls and mounds. In order to build a house the client has bought the last empty plot at the Ploče quarter in Dubrovnik. 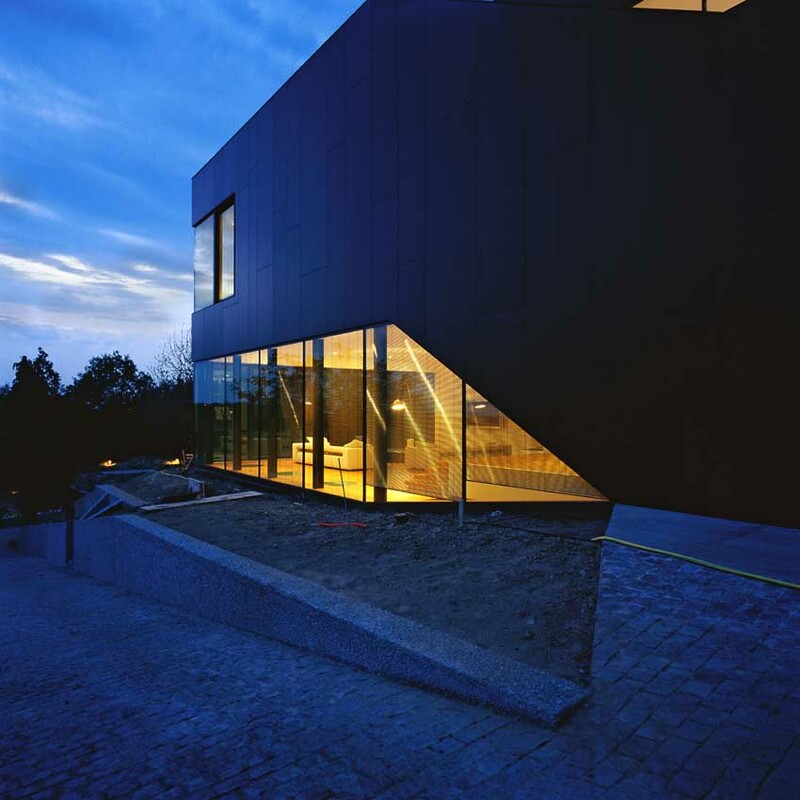 The steep site is of irregular shape, and it was divided with a road by the change in land zoning plans. The house is set on top of the plot with a wonderful view of the Old City and Lokrum Island, while the lower part is intended for a great and lush garden. 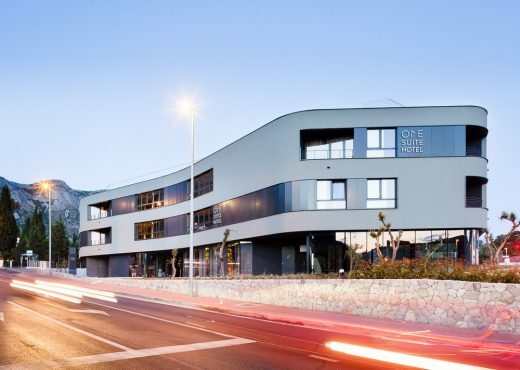 Hotel Lone, the first design hotel in Croatia, is situated in the Monte Mulini forest park, Rovinj’s most attractive tourist zone, located in the immediate vicinity of the legendary Eden Hotel and the new Monte Mulini hotel. The surrounding grounds and parkland is a unique and protected region of the Monte Mulini forest on the Lone Bay. The most important element and the inspiration for this project is the location itself, with extremely high quality existing vegetation, which is densely distributed throughout the plot and gradually diluted out toward the eastern edge. Situated in Rijeka’s quarter Zamet, the new Zamet Centre in complete size of 16830 m2 hosts various facilities: sports hall with max 2380 seats, local community offices, library, 13 retail and service spaces and a garage with 250 parking spaces. One third of the sports hall’s volume is cut in the ground, and the rest of the Centre is fully fitted into the surrounding landscape. Close surrounding and historical site of Firule area are one of the most enjoyable Split’s living, working and recreation environments. Extraordinary location for the polyclinic is one of its greatest advantages. Placed near existing hospital complex on Firule, close to the sea and fresh air gives it even more importance and value. 3LHD is a multidisciplinary architectural practice with office in Zagreb, Croatia, focused on integrating various disciplines – architecture, urban planning, design and art. 3LHD architects constantly explore new possibilities of interaction between architecture, society and individuals. With contemporary approach, the team of young architects resolves all projects in cooperation with many experts from various disciplines. Projects, such as Memorial Bridge in Rijeka, Croatian Pavilion in EXPO 2005 in Japan, Riva waterfront in Split, the study for Bale/Valle in Istria, Hotel Lone in Rovinj and recently Eastern European Cultural Centre in Xi’an, China are some of the important highlights. The work of 3LHD has received important Croatian and international awards, including the AR Annual Award, the world’s leading emerging architecture award by The Architectural Review (UK), the ID Magazine Award (USA); and Croatian professional awards Bernando Bernardi (2005), Viktor Kova?i? (2001) and Vladimir Nazor (1999). January 2, 2019 in Architects.